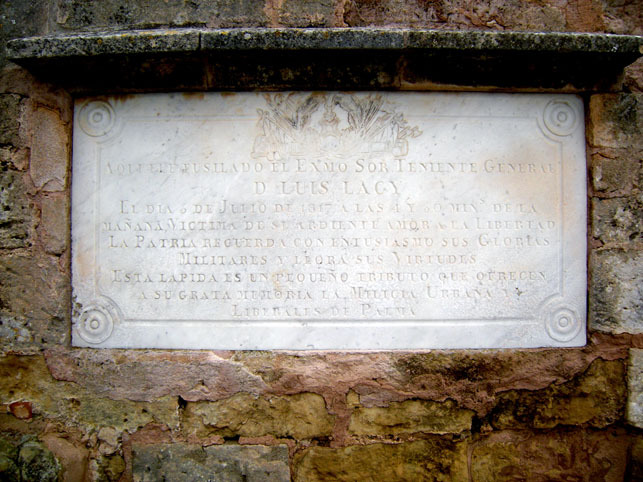 When visiting the Castell de Bellver southwest of Palma de Mallorca you may have seen a largish commemorative plaque in honour of Don Luis Lacy. You may well have wondered what this was all about, just the way I did. Well, I found out for you about the destiny and fate of Luis Lacy. …no Irish family has attained greater fame in the military history of Europe than the de Lacy family of County Limerick‘. 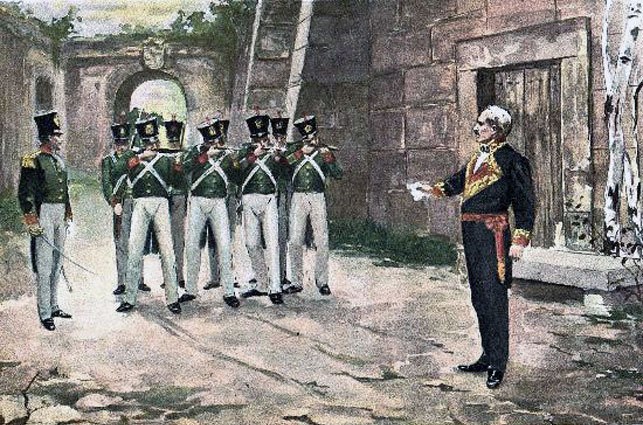 After the Spanish Liberal Revolution of March, 1820, de Lacy’s honours were restored posthumously. Then, his name was placed in the Hall of the Spanish Cortes (government) in Cadíz as having suffered death on a scaffold for the benefit of the Constitution. I don’t know when the commemorative plaque was fitted at the Castell de Bellver as a tribute (see photo above) but, presumably soon after the 1820 revolution. The photo (top) was taken in Palma de Mallorca, Baleares, Spain. The date: December 29th, 2010. The time was 15:21:17. 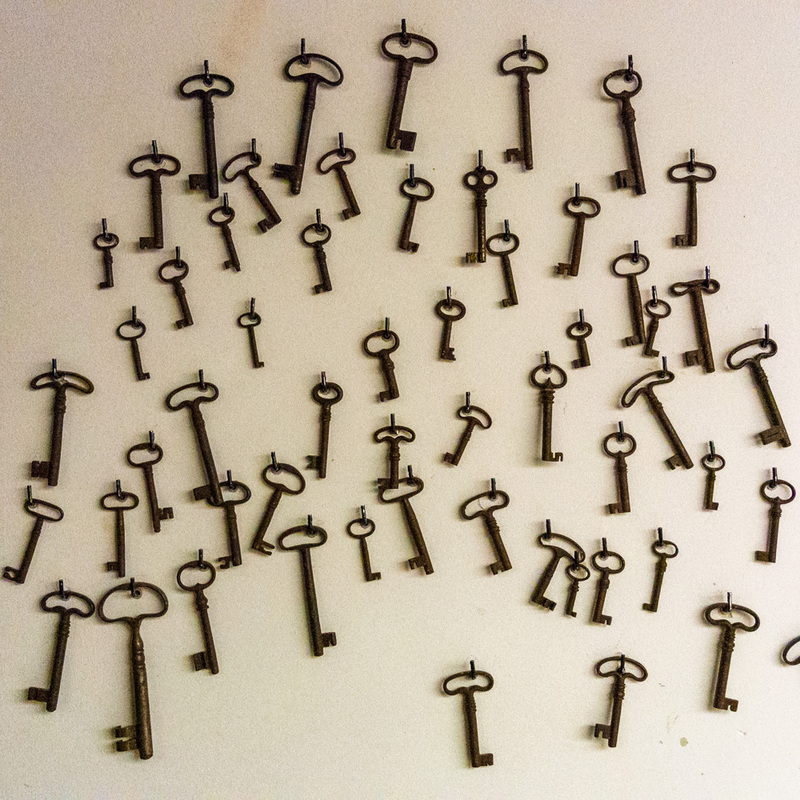 The image (bottom) was borrowed from the Internet, courtesy of todocoleccion.net. It shows a print from the hands of Pablo Antonio Béjar Novella. Wonderful, keep it up. Thanks.